The study examined variations in 2.5 million sites in the DNA. 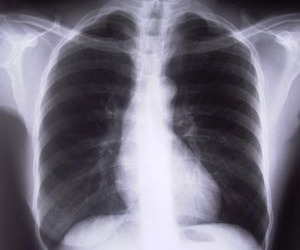 As part of an international study that looked at the genotyping of more than 32,000 people - 4,350 of them from the Busselton area - researchers at The University of Western Australia hope they may have identified new clues to how abnormal lung function may contribute to respiratory diseases. 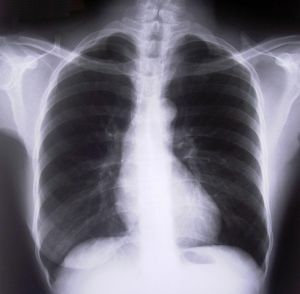 Lung function is an important predictor of illness and death. Before the study began, it was well established, through family and twin studies, that lung function was partially inherited but researchers are only just starting to uncover the specific genes involved and how they contribute. One of the UWA researchers, Clinical Associate Professor Alan James, said the massive global research project into the genetics of lung disease identified several genetic determinants that operate, at least in part, independent of smoking status and the presence of diseases such as asthma. The study examined variations in 2.5 million sites in the DNA. 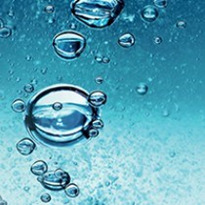 Such variations can affect the ways in which people develop disease and respond to drugs, vaccines and environmental agents such as air pollution. "The study identified five genetic markers associated with lung function," Professor James said. "These were found in the whole population studied and were not specific to smokers. Nor did they appear to change with smoking exposure. The genes in these loci seem to be involved either in the way the lungs grow, or in tissue components that may alter airway architecture. "The results show strong evidence for newly identified genetic sites that act as important determinants of lung function and may indicate potential targets to help alleviate respiratory disease." The Busselton participants, the only Australians in the worldwide study, are part of the Busselton Health Study - one of the world's longest-running epidemiological research programs. Because of Busselton residents' involvement in a series of health surveys since 1966, they have been described as a "National Treasure" by the WA State Government. "The Busselton Health Study is recognised as an invaluable source of genetic information to compare with other populations in worldwide searches for the genetic contributions to disease", Professor James said. "This study on lung function is another important contribution to this global effort."